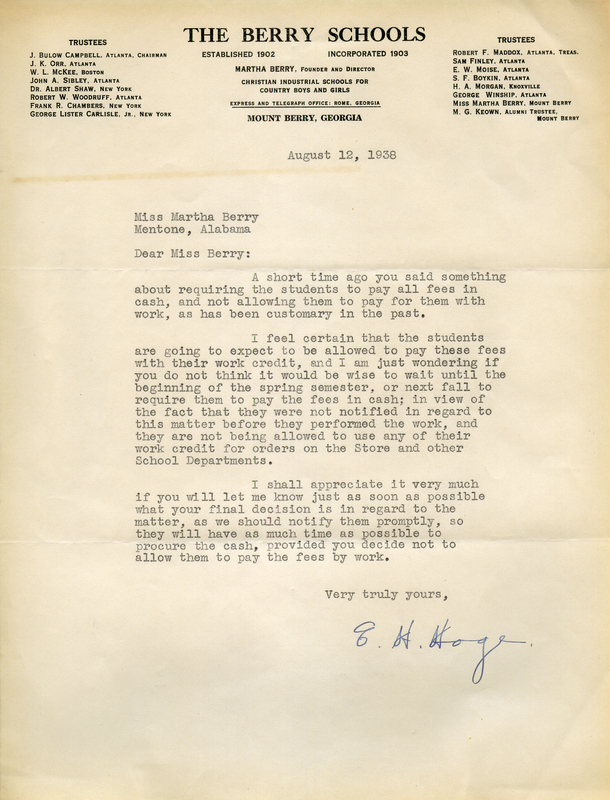 A letter to Martha Berry asking her to wait until spring semester or the following fall to make the students pay their school fees in cash instead of through work credit. E H Hoge, “Letter to Martha Berry from E. H. Hoge.” Martha Berry Digital Archive. Eds. Schlitz, Stephanie A., Jessica Hornbuckle, Savannah Harris, et al. Mount Berry: Berry College, 2016. accessed April 24, 2019, https://mbda.berry.edu/items/show/14567.